Unofficed maintains a trading forum in Slack. Slack makes work simpler, more pleasant, and more productive. 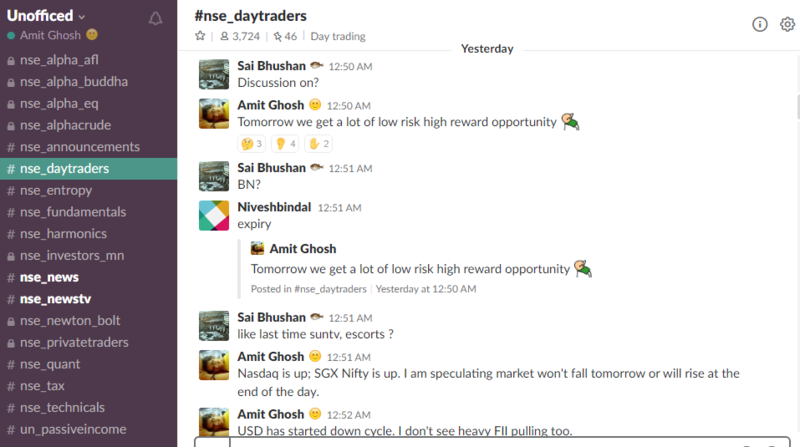 There are currently 4500+ members with 3000+ active members per day making it largest active trading forum in India. It’s free but if you’re a long-term investor who doesn’t like short-term volatility and high-risk appetite, you’re advised not to join this forum. It’s for traders, by traders! 2. Put your email on the field and Click “Join”. 3. Now check your email. Be sure to check your spam also. 4. You will be asked to add your name, username, and password. Fill it up and click “next”. 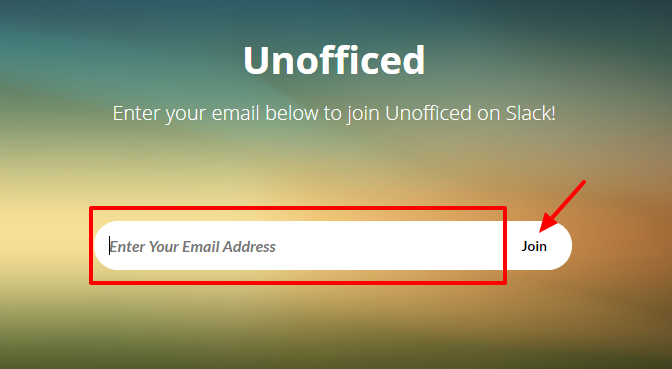 PS: You can sign in at https://unofficed.slack.com. If you’re using mobile Slack APP, the workspace name is unofficed. If you’re Minance Partner and wants to join the private channel of Investors in Our trading forum then fill up the form here. If you want to get added into #private channel of verified people, please send link of your any social profile (Facebook, Twitter, Linkedin, Quora) to @dexter in DM. Always follow the House Rules.